The elegant collection “Une vie en dessins” (A Drawn Life) published by Éditions Champaka Brussels dedicates each publication to a different major comics author. Each artbook features a new reference text about the author in addition to a series of commented images drawn from his or her original works. 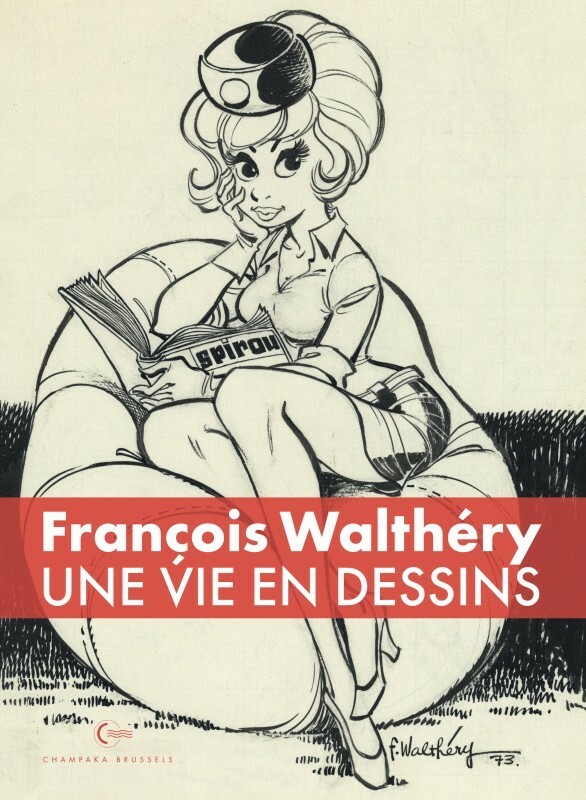 The first book in the collection is dedicated to François Walthéry and presents more than 200 fac-similes of original, scanned panels from Walthéry’s collected works. Natacha, the Smurfs, Benoît Brisefer, and all of Walthéry’s other beloved characters are the stars of this impressive coffee-table book.